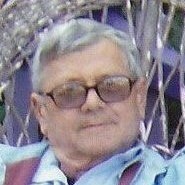 Carmine Lalama, 70 of Plainville, passed away Tuesday May 29, 2018 at the Hospital of Central Connecticut in New Britain. He was the loving husband of Roberta (Randall) Lalama. Carmine was born June 22, 1947 in Pacentro, Italy a son of the late Attilio and Angela (Colangelo) Lalama and was a longtime Plainville resident. Along with his family, he immigrated to the United States in 1956. He attended Hartford schools and was a graduate of Southern Connecticut State University. Carmine was a proud veteran of the Vietnam War, serving in the United States Marine Corps from 1966 until being honorably discharged in 1970. He had an adventurous soul and had lived in Wyoming for over 7 years, where he became a carpenter. Carmine was self-employed for many years and was well known for his craftsmanship. He and his wife Roberta enjoyed spending time with friends and family at their cottage on Tyler Lake in Goshen. Carmine also enjoyed painting and was a member of the Art League of Plainville. Over the years many of his paintings were on display at the Plainville Public Library. Besides his beloved wife Roberta, he leaves his son David Lalama and partner Cheri Kline of East Haven, his step son Robert Lawson of Plainville, his step daughter Mandy Lawson of Middletown, RI, his brothers, John Lalama and his wife MariAnne of Wethersfield and Remo Lalama and his wife Anna Maria of Berlin. He also leaves several aunts, uncles, cousins, nieces, nephews and friends. Funeral services and burial will be held privately. The Bailey Funeral Home 48 Broad Street in Plainville has care of arrangements.